Last Saturday 30th January we made our way slowly across town to the 20th district for the Bobines Sociales film festival to catch 2 Colombian films from the group El perro que ladra. First we stopped for a sandwich and fries and squatted on a sunny bunch in front the gym at rue Pyrénées and rue Ermitage. While shivering in the cold we absorbed a bit of the local scene. There were kids and adults out and about, aggressive beggars, and some clever young kids maneuvering their newly acquired sofa on top of 2 skateboards right up the street! Apparently a wheel on one of decks had come loose slowing them to a halt in the middle of the plaza. In no time though they had the board repaired and the brown sofa was again on its way up the hill towards its new hipster home. 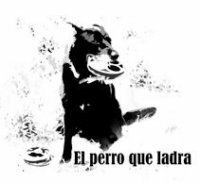 El Perro que ladra or “The Barking Dog,” is a group composed of professionals, researchers and students in cinema, audiovisual, sound, visual arts and the humanities based in Paris who aim for the creation, production, promotion, distribution, critiques and discussions of Colombian works of cinema. Today’s 2 films were looking at « Résistances en Colombie ». Our hopes to get in for a reduced ticket fee were quickly dashed because the doorman wasn’t budging on the 5 € fee even though we missed the first film! He reassured us that our ticket would be good for the entire afternoon of films. So we handed over the 10 € and pulled back a heavy curtain to enter the obscure locale. Desplazados (by Josep Lluis Penades Boada) showed interviews with different individuals and families who had been displaced from their homes due civil wars of recent decades in Colombia. Per the UN’s State of the World’s Refugees website, 19 April 2006, “both guerrillas and paramilitaries have depopulated rural areas and appropriated the land for political, economic and strategic gain. Upon seizing control of an area, armed groups often kill or displace civilians they suspect of supporting the opposing side. Human rights defenders frequently suffer a similar fate.” Survivors must abandon their homes and look for shelter elsewhere. Most of them are poor and have nowhere else to go. Many of them squat in camps or find rudimentary housing in the suburbs of Bogota and elsewhere. In most cases these impoverished shacks lack running water, sewage systems, and much infrastructure. The number of internally displaced people in Colombia is amongst the highest in the world, second only to Sudan, and the numbers are growing according to the UN Refugee Agency. Depressing. A lively debate on the problem of displacement in Colombia followed. Among the panel of experts addressing comments and queries from the audience was Olga L. Gonzalez, sociologist and researcher at l’Urmis – Université de Paris VII Denis Diderot as well as Présidente of the Groupe Actualités Colombie. This thought-provoking discussion was making me hungry. The nibbles, chocolate cakes and coffee on sale at the venue were tempting, but neither of us had any cash, so we humbly accepted a sample of the organic beet cakes being handed out in abundance (no one would pay for it and we soon discovered why) as we made our way towards the door to leave. However, an introduction for the next set of films Du lard ou du cochon ? was already underway, and our curiosity got the better of us, so we sat back down again. We watched an Irish short called Un film sur ma commune – 6 fermes (by Tony Donoghue). Then came a strange documentary-propaganda piece from 40 years ago about the industrialization of the French beef industry called Sauvez le bœuf. It didn’t put me off red meat entirely, but we did decide to cut back our consumption of meats and increase intake of fish, soy and vegetable-based proteins. Chaque tête est un monde. That night we went for some delicious Thai food in Little Asia in the 13th then for in the Butte aux Cailles. It was my first time to this little pedestrian street full of bars and restaurants near Place d’Italie and it won’t be my last. I bet it’s great in summertime with patios and terraces out in the sunshine. We had beers at a funky little bar called La Folie en Tête whose slogan reads every head is a world of its own. This entry was posted on 5 February 2010 by ladymissmba. It was filed under Outing .